Dream High 드림하이 is the answer to k-pop and k-drama lovers out there since it combines both genres to make k-drama gold. Plot Summary: Go Hye Mi (Suzy Bae) aspires to be an opera singer but due to financial troubles, she sets out to audition for a spot at Kirin Art High School instead. She meets a group of students with similar goals and we are taken through their journey towards reaching their dreams. If you want to watch a feel-good rom-com that is thoroughly entertaining, I highly recommend Dream High. There was a time when I was oblivious to k-pop but Dream High changed it all, introducing a selection of k-pop hits as well as renditions of popular songs that had me humming for days. It is pretty much Glee meets k-pop and I love it. The premise calls for an all-idol cast which includes 2PMs Taecyeon and Wooyoung, Miss A's Suzy, T-ara's Eunjung and solo artist IU. The only actor from the bunch is Kim Soo Hyun, which is a winning decision in hindsight because his heartfelt acting grounded the show and made it so much more real. 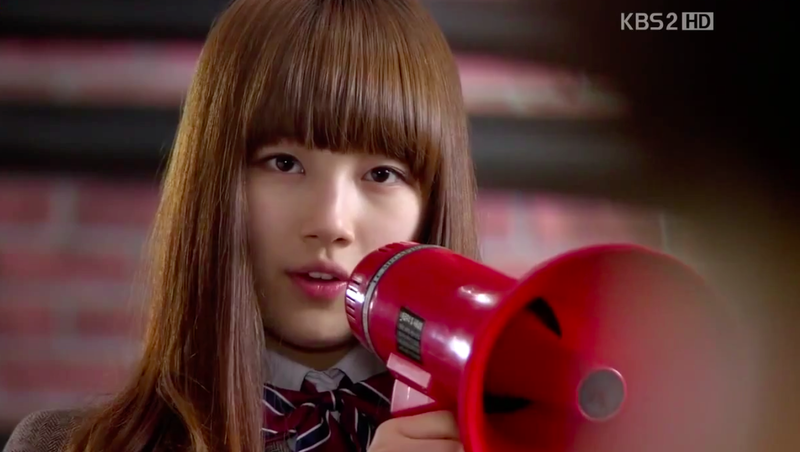 Dream High is a short 16-episode k-drama that's simple as it tackles more mundane plots in a manner that is so sweet and endearing. The actors or rather singers truly carry the torch on this one because I rooted for each and everyone of them and rallied behind their motivations and aspirations. Besides, how does one not love an entire series devoted to the underdogs? It was also one of those rarer moments where I wasn't sure who would end up with who and I'm glad that it ended the way it did.